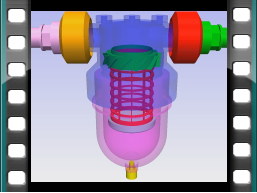 Applications in engineering are manifold. We offer our software and consulting services for your area of business, customized for your individual needs. 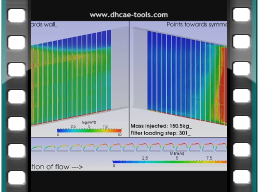 We offer a customised workflow optimisation for your company and support you to develop your own CFD capability. We offer custom support packages with an entire suite of tools for our customers. 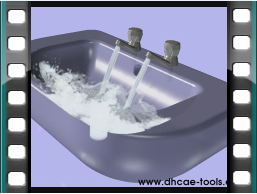 Our aim is to meet exactly the requirements of your company. 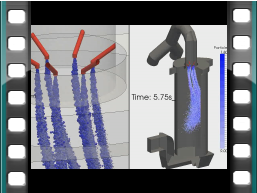 Clogging water filter animation, showing particle transport and a baffle based filter boundary condition with a Darcy resistance model and with specific handling of turbulence damping. 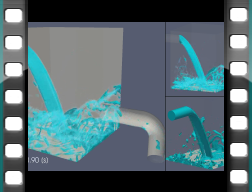 Multiphase flow based on OpenFOAM®’s volume of fluid method. 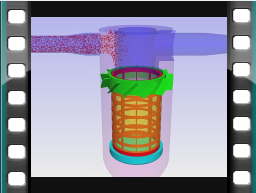 Transient particle tracking in a water filter. 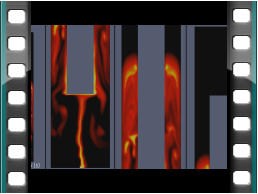 Virtual sudden color change in an optimized PVC extrusion die showing a very uniform residence time of the non-Newtonian melt within the die. 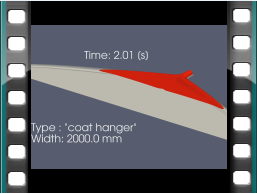 Bag filters are loaded with dust particles, hereby changing the outflow velocity depending on the current load. Water-Air simulation with VOF on a blockMesh grid. Water droplets are evaporating in a quenching device. Strong coupled interaction with heat transfer, multiple species transport, species mass transfer and parcel based particle modelling. 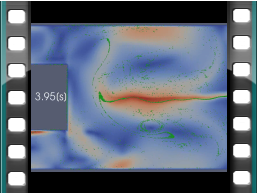 The complex flow behavior of a two phase Euler-Euler simulation is visualized with passive particles. 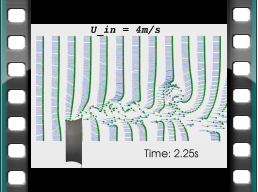 Wind lens effect for increased performance of wind turbines is visualized with passive particles. 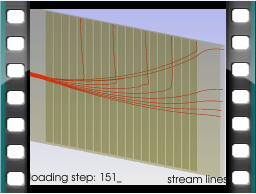 Streamlines are changing with the bag filters are clogged more and more. 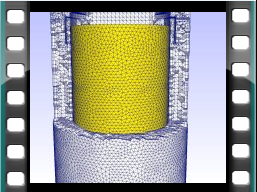 The mesh of a filter and its proximity is shown.